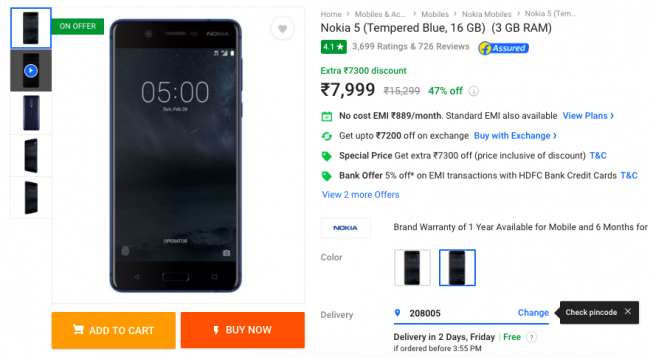 With the launch of the upgraded Nokia 5.1 and Nokia 5.1 Plus just recently, the original Nokia 5 has been discounted heavily and is now available at an extremely attractive price of Rs 7,999 on Flipkart as compared to its retail price of Rs 12,499 – after a price cut earlier this year. Yes, the device may be inching closer to its one-year anniversary in India, but it warrants attention at this price, considering it’s not an ultra-budget phone per se. This is a great device and the discounted price, which can be further reduced with exchange offers or discounts, is just amazing. 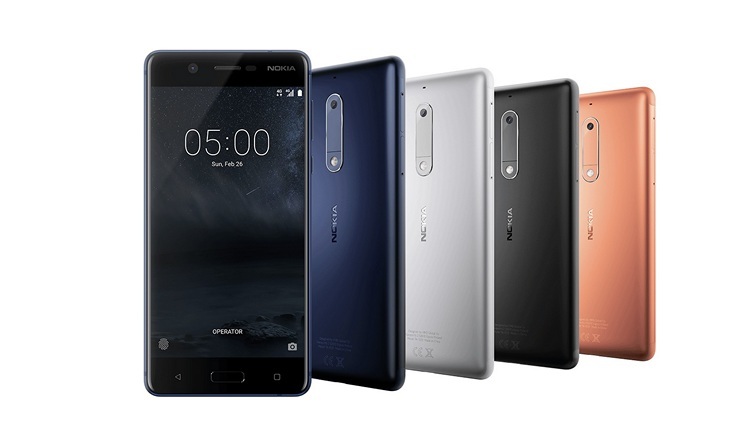 As for the specs of the Nokia 5, the Nokia 5 offers a 5.2-inch HD display – which may not be in line with the current 18:9 trend but should be good enough for most use cases. It’s powered by the Snapdragon 430 SoC, paired with 3GB of RAM and 16GB of internal storage (which may be less but can be expanded using microSD card support). The Nokia 5 also sports a decent pair of cameras, with a 13MP camera on the rear and an 8MP camera on the front. There’s also a 3,000mAh battery on board here, which is quite awesome at this price point. In fact, the device is running Android 8.1 Oreo and could receive the latest Android 9 Pie update over the coming months. So, you may get a chance to experience the latest version of Android very soon at a bargain price.